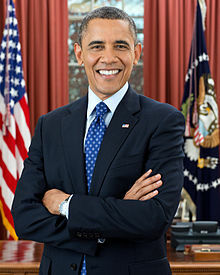 Barack Obama was inaugurated as the forty-fourth president of the United States on January 20, 2009. The following is a personality profile of Barack Obama based on his work. Barack Obama is social, boisterous and unconventional. He is empathetic, he feels what others feel and is compassionate towards them. He is intermittent as well: he has a hard time sticking with difficult tasks for a long period of time. But, Barack Obama is also self-controlled: he has control over his desires, which are not particularly intense.